NHL defenseman who took over as Shea Weber's defensive partner on the Nashville Predators following Ryan Suter's departure in 2012. He broke the 60 point barrier for the first time during the 2015-2016 season. He helped the Predators reach the Stanley Cup Finals in 2017. He played professionally with SC Bern in Switzerland before being the 38th overall pick in the 2008 NHL Draft. 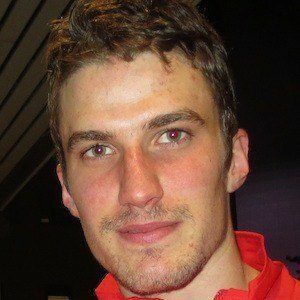 He won a silver medal with the Swiss national team at the 2013 IIHF World Championship, where he was named tournament MVP. He has an older brother named Yannick. He's played in front of goalie Pekka Rinne, helping create a solid defensive foundation as teammates in Nashville.